The Zohrab Information Center will host an evening of original poetry on Thursday, October 23 at 7:00PM. 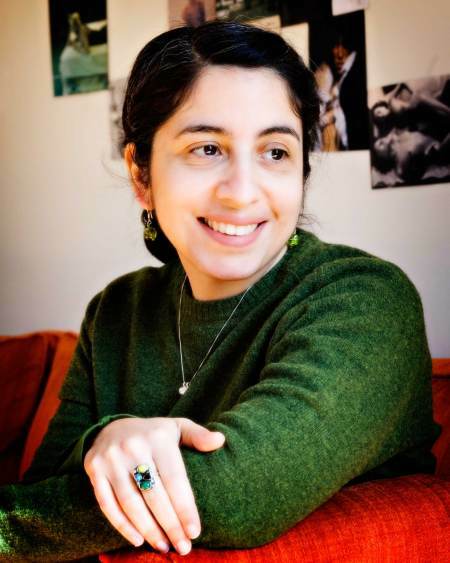 Featured will be three American-Armenian poets: Nancy Agabian, Lola Koundakjian, and Alan Semerdjian. They have chosen to read works that have been inspired by the Zohrab Center’s rich book collection. 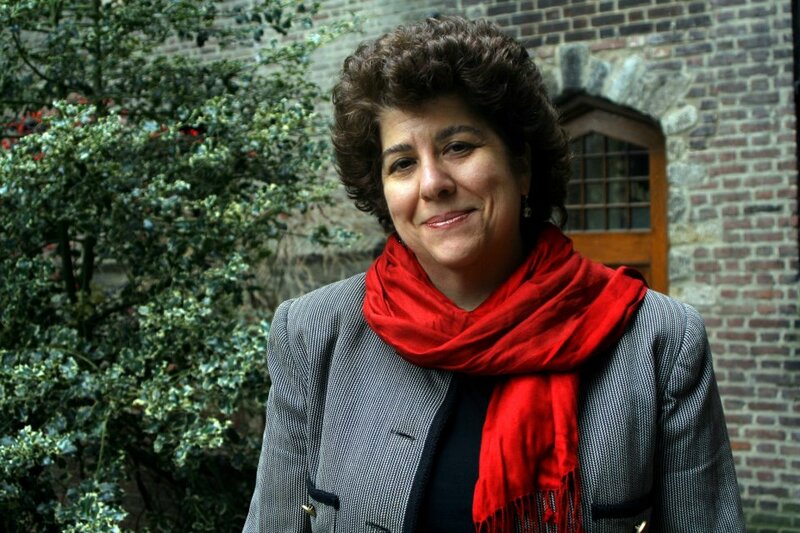 Award-winning author Nancy Agabian is a part-time faculty member of the NYU Gallatin School. She was a Fulbright scholar to Armenia in 2006-7. 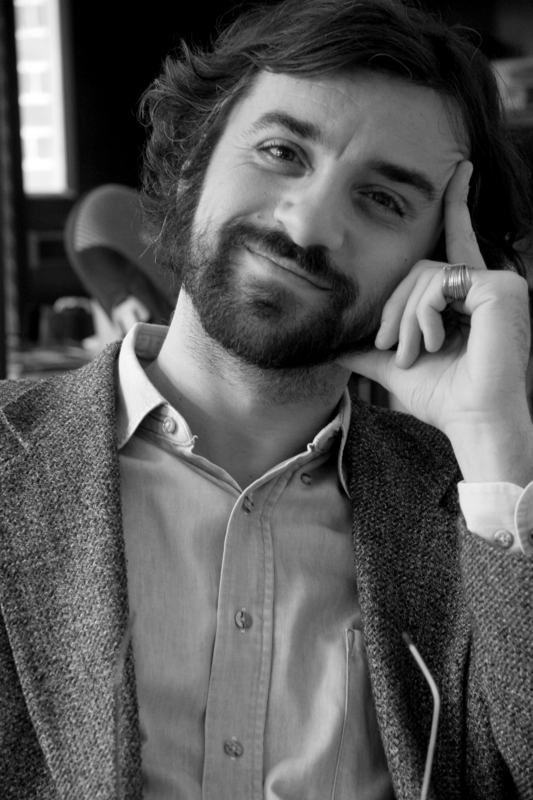 Alan Semerdjian is a poet, teacher, musician and artist, whose acclaimed collection of poems, In the Architecture of Bone, explorees issues of Genocide and survival. Making her second visit to the Zohrab Center to read her work, Lola Koundakjian is an internationally acclaimed and published poet whose work has been translated into Spanish and Ukrainian. She is curator of the online Armenian Poetry Project. 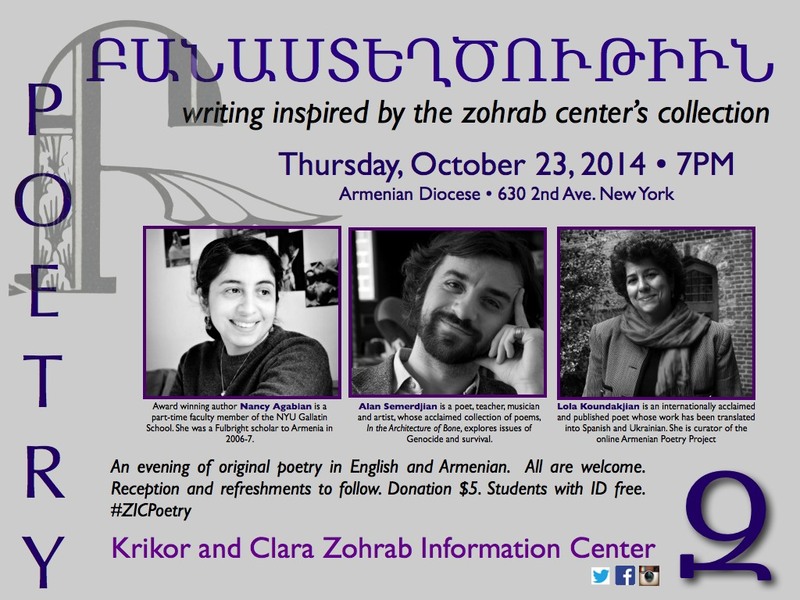 The Evening of Poetry will place at the Zohrab Center of the Armenian Diocese, 630 Second Avenue, New York. All are welcome to attend. Suggested donation is $5. Students with ID will be admitted free. A reception and refreshments will follow.